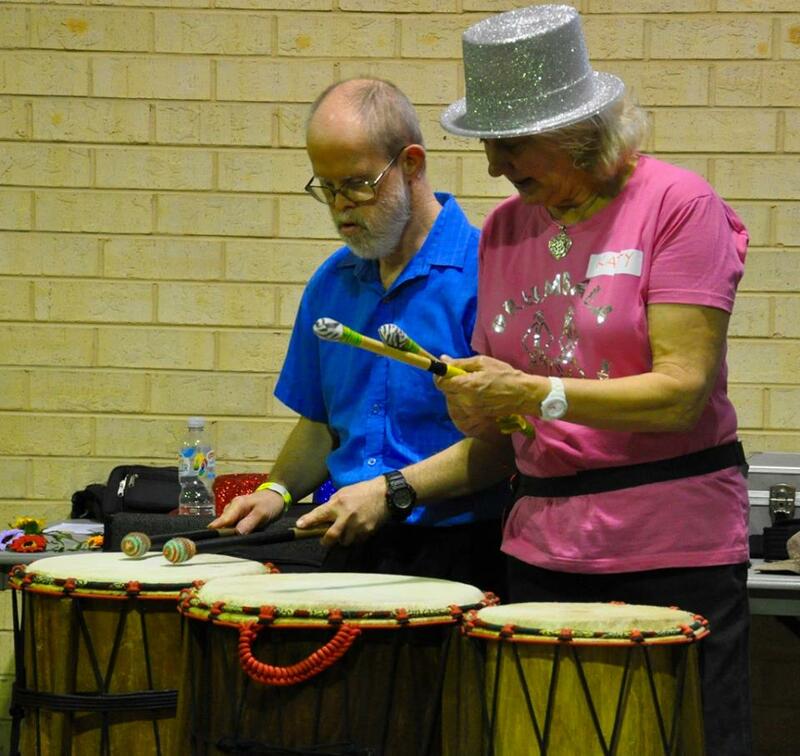 Over the past 10 years we have been facilitating drumming and percussion therapy workshops for adults and children with all levels of special needs and disabilities throughout the Central Coast, Sydney and the Hunter Valley, NSW. In these workshops the drums become the main communicator where the foundation of simple and upbeat rhythms are held by African Dun Duns (a set of 3 drums played with padded sticks) played by Katy together with Warren on his djembe drum. This brings together a warm and fun environment of rhythm for participants to freely tap away on their drums and be joined by those who wish to play percussion instruments. During the workshop, through interactive call and response on the drum orchestrated by Warren, participants will be introduced to easy and fun drum beats, hand movements, clapping and chanting which brings in a moment to moment experience of fun, joy and upliftment to the wellbeing of all participants - including carers, teachers and staff. Meet some of our students at Clarke Road School. Drumbala have been teaching the children at Clarke Road once a week for the last four years. Each week, as we drive into the school grounds, we are warmly welcomed by the children at the gate chanting Drumbala! Every week we are amazed by the willingness and passion of these wonderful children. Their love of music and rhythm is expressed so freely, creating a fun and joyful drumming experience every time. It is a very proud moment for us, teachers and parents when the children eagerly put on a drumming performance at their Presentation Days. Jish has been drumming now for 4 years in a one on one format with Warren. Jish has completed over 20 rhythms and there is no doubting his strong enthusiasm for rhythm and song! Jish can read all music charts that we provide but his unique ability to learn new rhythms is through singing and chanting throughout every rhythm creating joy and a uplifting energy to the lesson. You can also find Jish playing drums with us when we go out into the community to play at local festivals and events and again he creates a joyful experience for all who attend, something that makes his parents very happy and proud.